Day 1 of the 6th Swartland Canoe Marathon dawned to provide a beautiful balmy Western Cape winter’s day on the Berg River at Skooltjie Bridge. A strong group of contenders lined up in seeded rows in the first batch, with former winners Graeme Solomon and Pierre-André Rabie making up the local contingent with Edgar Boehm, Simon van Gysen, Dawid Mocke, Ernest van Riet and Joseph Williams. From up country were two former Berg winners, Graham Monteith and Jacque Theron; Jacque had come down early and had done his “homework” by doing plenty of tripping. In the Ladies’ batch, the clear favourite was Robyn Kime, with Jen Theron the main challenger. The start of the 40km first day of the race was incredibly well ordered for the entire field, with superb management and communication from the starting officials. The organisers, Peninsula Canoe Club, had carefully seeded every paddler within the field so that each batch of twenty was arranged in four seeded rows. A factor which has made this race so popular in the past is that by having batches of twenty-five maximum, spaced five minutes apart, all paddlers enjoy a cleaner run through the technical sections where single file and good river skills are necessary to negotiate the obstacles successfully. More importantly, safety is greatly enhanced as mass pile-ups are avoided at tree-blocks. No matter how warm the day, the water is still breath-takingly cold, and so any logistical improvement which helps reduce the chance of a swim is very welcome! An early lead group of Solomon, van Riet, Williams and Theron was established, but the lower water levels were bound to favour lighter paddlers. This was especially true 10.4km from the start, where one of the distinctive yellow and blue signs placed by the organisers indicated the entrance to a small gangetjie bypassing a couple of km of river riddled with tree-blocks. In the upper reaches of this channel, heavier paddlers found themselves frequently running aground while lighter paddlers were able to get through. The lead changed often and by Hermon Bridge, 15km from the end, the lead group consisted of Theron, van Gysen, Rabie, van Riet and Boehm. The first to the overnight stop of Zonquasdrift was Jacque Theron followed by Edgar Boehm. A controversy then became apparent, as the next paddler over the line was Heinrich Schloms, who in the last hour before the race had decided to change from being a Sweep to doing the race proper and had started in the front of B batch instead of the back of A batch as instructed when he asked to change his status. By starting at the front of a slower batch, he gained the advantage of a clear run through all the obstacles until reaching the A batch paddlers and effectively stormed in 3mins faster than Jacque Theron. Due to the distinct segregation of A batch from all the others at the start, the A batch paddlers believed that he was still a Sweep and were unaware of the threat from behind until he had caught them and began to have an impact on the relative positions within this batch as he fought his way through; sometimes dislodging a paddler from the rear of a group and other times helping paddlers gain on those ahead. Meanwhile, right at the front, Theron believed that he had a clear lead and settled into an easier pace, tactically planning to conserve energy for the elapsed time start the following day. After a meeting kept very civil thanks to the reasonable nature of Schloms and Theron, careful consideration was given to arrive at a decision whereby Schloms’ elapsed time start would be with the paddlers he had finished Day 1 with, an effective 5 minute time penalty which placed him third for the day. Amongst the Ladies, who had all enjoyed starting in their own batch away from the testosterone-fuelled frenzy men can create, Robyn Kime raced well, putting her Duzi skills to good use as she nimbly hopped in and out of her boat on the low river. By Zonquasdrift, she was 16th overall, with Jen Theron 2nd Lady in and Kim van Gysen 3rd. A unique feature of this race is the entertaining Lucky Draw held on the Saturday evening. This has many superb prizes, the highlight always being a K1, which this year was a Jacana made by Knysna Racing and was won by Tallon Denovan. The 47km Day 2 began with male and female paddlers all starting according to their Day 1 finishing time so they could race together. Schloms did well to catch up to the front two paddlers, but then got stuck in a tree and Theron and Boehm sped away. Boehm later made a break and recorded the fastest time for the day, but Theron still claimed the overall win while Schloms finished third. Kime, Theron and van Gysen maintained their relative positions to finish in this order. 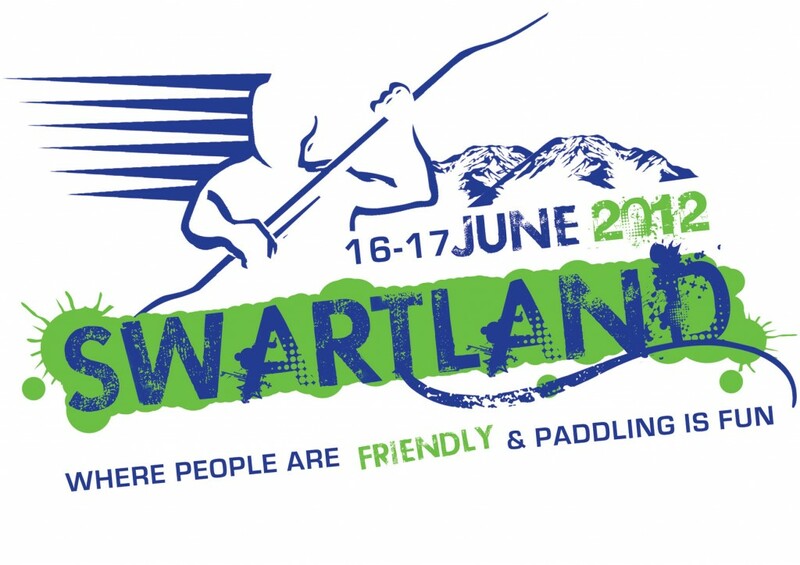 Full credit must be given to the organising committee of the Swartland Canoe Marathon (hosted by Peninsula Canoe Club) for once again treating the entrants to an event that has become a benchmark of superb canoe race organization.